Microphlebectomy is a minimally-invasive procedure used to remove medium to large, bulging varicose veins located near the surface of the skin. 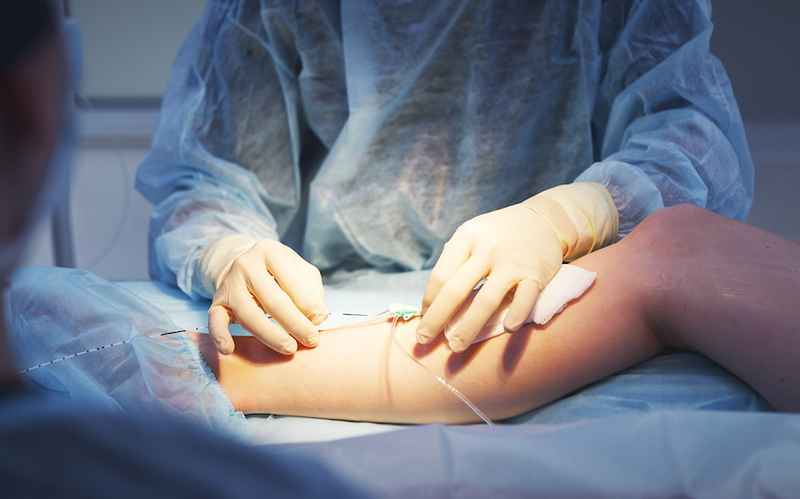 Microphlebectomy may be performed as a stand-alone procedure but is usually performed as part of a comprehensive vein treatment plan that includes other procedures such as endovenous laser ablation. Microphlebectomy is highly-regarded by patients because it is minimally-invasive, requires only local anesthesia, leaves minimal to no scars, and has very little downtime. In fact, there is no downtime from driving, and you can go back to activities like strenuous workouts in around a week. Prior to your microphlebectomy procedure, Dr. Gardner will mark your veins in the standing position when the veins bulge the most. During a microphlebectomy procedure, your doctor will remove the targeted varicose veins through a series of 2-3 millimeter micro-incisions along the marked bulging varicose veins. These tiny cuts or incisions are so small they usually do not require any stitches and are virtually invisible once healed. Side effects include minimal bruising and swelling for a few days afterwards. You may also experience some short-lived numbness at the incision sites. Dr. Gardner may recommend you wear compression stockings for a week or two to promote healing, and may encourage you to walk immediately following the procedure. Patients generally tolerate microphlebectomy afterward well and are delighted with the dramatic cosmetic improvement.